The biography of Jane Digby, an ‘enthralling tale of a nineteenth-century beauty whose heart – and hormones – ruled her head.’ Harpers and Queen A celebrated aristocratic beauty, Jane Digby married Lord Ellenborough at seventeen. Their divorce a few years later was one of England s most scandalous at that time. In her quest for passionate fulfilment she had lovers which included an Austrian prince, King Ludvig I of Bavaria, and a Greek count whose infidelities drove her to the Orient. In Syria, she found the love of her life, a Bedouin nobleman, Sheikh Medjuel el Mezrab who was twenty years her junior. Bestselling biographer Mary Lovell has produced from Jane Digby’s diaries not only a sympathetic and dramatic portrait of a rare woman, but a fascinating glimpse into the centuries-old Bedouin tradition that is now almost lost. Note that it has not been possible to include the same picture content that appeared in the original print version. 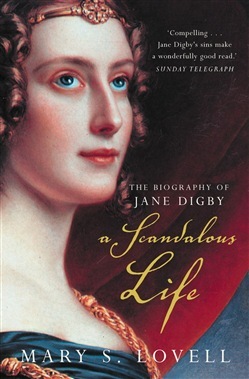 Acquista A Scandalous Life: The Biography of Jane Digby (Text only) in Epub: dopo aver letto l’ebook A Scandalous Life: The Biography of Jane Digby (Text only) di Mary S. Lovell ti invitiamo a lasciarci una Recensione qui sotto: sarà utile agli utenti che non abbiano ancora letto questo libro e che vogliano avere delle opinioni altrui. L’opinione su di un libro è molto soggettiva e per questo leggere eventuali recensioni negative non ci dovrà frenare dall’acquisto, anzi dovrà spingerci ad acquistare il libro in fretta per poter dire la nostra ed eventualmente smentire quanto commentato da altri, contribuendo ad arricchire più possibile i commenti e dare sempre più spunti di confronto al pubblico online.